Wow, it has been over a month since I last posted on here. I was crazy busy with launching my newest niche website which will be the focus for the months to come. I will explain in as much detail as possible what work I have done on the site, what the plan is for the coming months and also provide stats on traffic, sales and how many articles I have been and will be posting. My goal is to share mistakes and success with you so you can apply the same (or different) strategies to your niche site. What is different to my other niche sites? This time around I’m not a newbie anymore like I was when I started with affiliate marketing back in January 2016 with Wealthy Affiliate. With my new project, I am implementing everything I have learned from the awesome Wealthy Affiliate platform but also from researching other websites. It is always so exciting launching something entirely new, and this one is no different. I don’t know how you feel about it, but my favorite posts to read are Niche site case studies. It is fascinating to learn about the whole process from keyword research, finding a profitable niche to deciding on a domain name and finally writing the first posts. After a lot of research, I’ve settled on a product that receives around 2000 monthly searches for the search term ‘best product xy’ and a relatively low difficulty score of 32 (I used KeySearch as keyword research tool). My new niche site only promotes Amazon products; so, therefore, it will be an Amazon affiliate niche site. Read more about Pros and Cons of being an Amazon affiliate here. By the way, I won’t be revealing my chosen product to avoid copycats which is fair enough in my opinion. For my new niche site, I have decided on a Premium theme for the first time and am really happy with it. 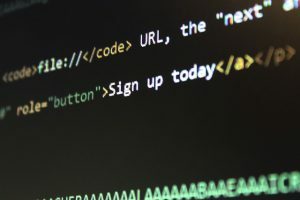 When you start as a beginner, it is sufficient to choose a free WordPress theme until you get a good idea of how you want your site to look like. It took me months to research a theme that does what I want my niche site to do. My top choice was a theme from MyThemeshop (this is an affiliate link) which I like a lot. I am using it now on two of my niche sites. It took me only a short time to fine tune it, but it’s so worth it. For $59 you can use a theme from MyThemeshop on as many sites as you want – that is incredible value for money. So I highly recommend you to check it out when you look for a new theme. They have free themes available as well. 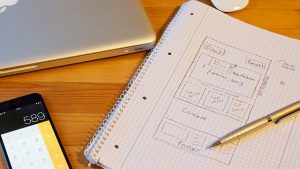 Go for a free theme first and figure out over time what you want your site to look like. Check out other sites and take notes on features you like or dislike. As I said, it took me a few months to make a decision. The good news is that most theme providers offer a 30-day money back guarantee. My new site was created at the beginning of June. On there is an About Me page, Privacy Page, Amazon Affiliate Disclosure (find a copy you can use here), a Contact page plus two buying guides and three product reviews. My aim is to publish one post a week, either a product or an informational post. Sounds quite depressing right. But do not fear, the first few months are always quiet. The site has to gain trust with Google. Experienced affiliate marketers are saying that a new website will be in the ‘Google sandbox’ for the first few months. Here is an excellent article about the Sandbox Effect and why it exists. Look at it from a positive point of view. This time frame gives you lots of time to add content, tweak your site and building your brand. Lots of bloggers are targeting Pinterest to gain traffic in a short amount of time. I am not an expert on Pinterest (yet) but I think it is worth the effort if you don’t want to rely on organic traffic only. Okay, here is my plan of action for the next three months. I want to try and publish 2 articles per week in July and August just to get things rolling a bit faster. Secondly, open up a Facebook and Pinterest account for the site to send social signals to Google. My main focus will be Pinterest though since my goal is to become more knowledgeable about it. Thirdly, get some backlinks to my site by purchasing a package from The Hoth. 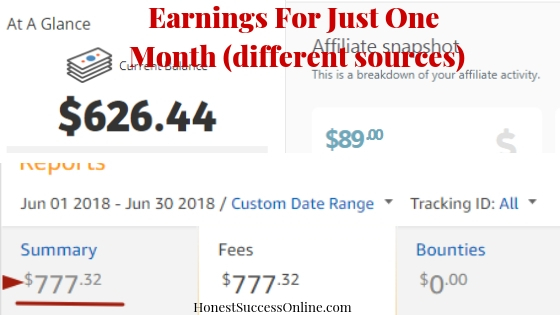 (affiliate link) I did purchase a Hoth Mini package for one of my other sites and it gave it a good boost in rankings and traffic. By the way, I will do a proper review soon. Even if you don’t want to purchase a pack, I recommend to open an account and sign up for their newsletter. You’ll get lots of valuable information about SEO and ‘White Hat’ backlinks. 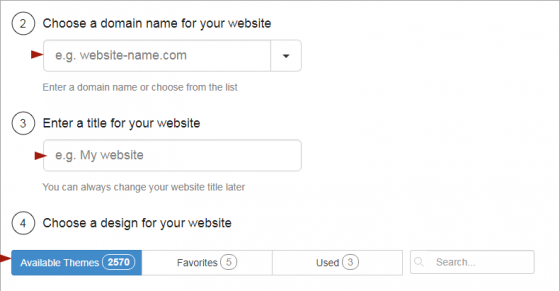 Decide on a name, purchase Domain Name and Hosting. Write Main Buying Guide and more product reviews. If you are not already, sign up with the Amazon Affiliates program. Here is a post on How to do it. Define A Plan Of Action e.g. how many posts a week you want to publish, Premium Theme or not, what social media accounts you want to use and so on. Don’t stress about traffic and sales in the first few months. Remember Googles ‘Sandbox’. Publish quality posts on a regular basis and always keep your readers in mind. How much does it cost to start a niche website? Starting a niche site aka an online business is affordable. If you stick to a free theme, you’ll only need to pay for your domain name and hosting. 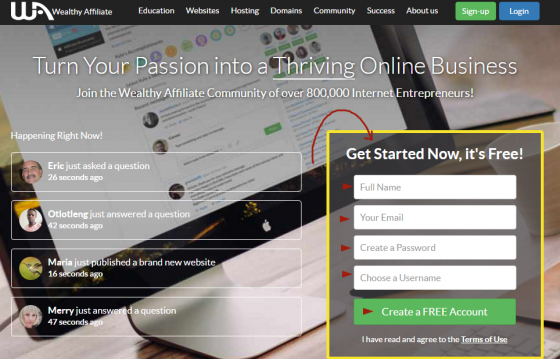 If you purchase a domain name with Wealthy Affiliate, it will only cost $13.99 for a year. Hosting with WA for a year (if paid annually) is $30 a year. Becoming an affiliate doesn’t cost anything. So all up, the start-up costs for a niche site are $44.99 plus $30 for hosting each month. If you would like to invest in a Premium theme, you’ll need to count in another $59 or less, depending on the theme you’d like to get. The question I hear most frequently is, what do I need to do to set up a website. The technical side of things is holding back many people. It is most likely the biggest hurdle to get started. It doesn’t have to be difficult. One of the reasons why I always recommend Wealthy Affiliate is that you can find everything in one place. From buying a domain name, hosting your sites to ongoing training and support 24/7 – it is super convenient to set up your website with WA. Read more about Wealthy Affiliate here. Sign up for a free account. You can check out WA for seven days and find out if it is the best platform for you to build your successful niche site. 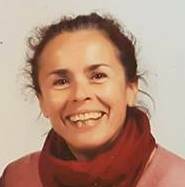 Write a short bio and upload a picture. Start having a good look around and check out the various features. All the important features like Privacy, Email, Backups, and Support are included. The hardest part is probably to choose a theme you like. I recommend to keep it simple and change your theme a few months later if you wish. The most important thing is to get started. Four simple steps that are all it takes. Try Wealthy Affiliate and Sign Up Here. Okay, folks, this is part one of my Niche Case Study. I will post an update every two months. If you don’t want to miss it, please sign up for my newsletter (in the sidebar) so you’ll be the first to know about it. 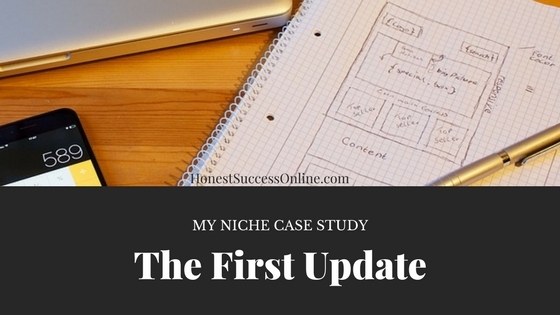 Here is my second update on my niche site. If you have any questions or feedback, please let me know in the comment section below. Please note: this post contains affiliate links. For more information read here.